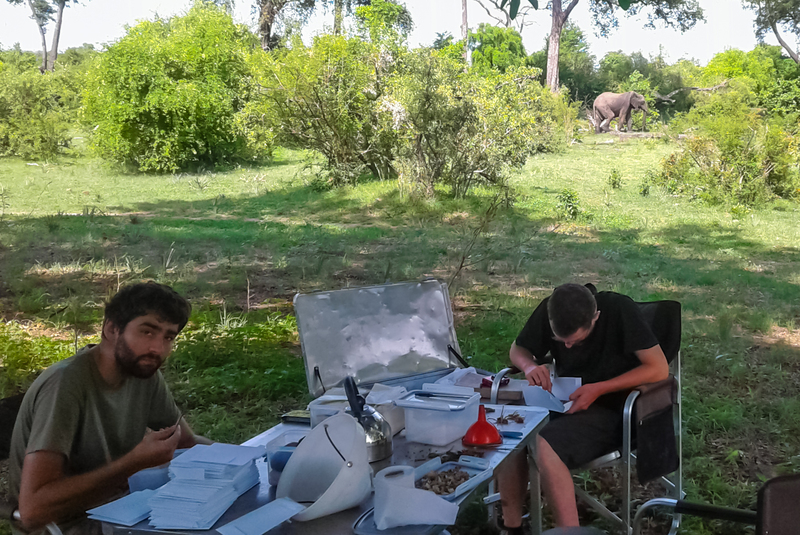 Just before Christmas, Sylvain, Vincent and Rob have returned from a two-week expedition to southern Africa, where they have been collecting nocturnal Lepidoptera along a gradient of environmental productivity. They successfully sampled moths in the three most productive localities which Rob failed to sample a year ago. The collected material will be processed mainly by Sylvain, as this project is an integral part of his thesis. Sylvain and Vincent processing moths collected in the previous night.